Southwest House Plans are the predominant style in, as you may have guessed, the southwestern United States. 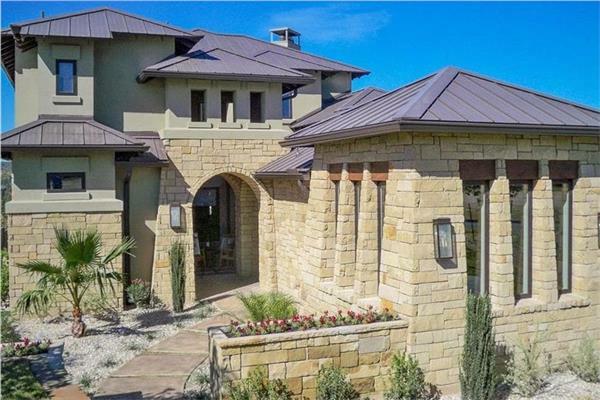 Southwest home plan design takes the environment in which it is built into great consideration, as the architectural themes tend to blend into the landscape. There are two basic categorizations that fit into the Southwestern style: Monterrey and Pueblo. The Monterrey style was quite popular in Northern California from the 1930s to the 50s. These house plans were a combination of colonial home plans of New England and Spanish architecture. The house plans are usually two stories in height with shallow pitched gable or hip roofs. Roofs are generally covered with wood shakes and sometimes clay tiles. The exteriors are usually a smooth surface, light stucco, and sometimes brick. Windows are often tall and in pairs with false shutters. Pueblo designs have been popular in Arizona and New Mexico since about 1910. These homes really blend into their landscape, as they are often earth-toned exteriors with flat roofs. Exterior surfaces are often irregular with rounded corners and parapets around the top of the roof. Ornamental trim is often done with logs, copper, or other earthen materials. This house plan style incorporates Native American themes that were found in pueblos of Arizona and New Mexico. Southwestern architecture is a beautiful style that is a definite change from other types of architecture that are most commonly found.